It’s no secret we love the forest, all of us are happiest when we’re climbing trees, building dens or exploring in the woods. I knew Forest Holidays would be just perfect for us, the cabins sheltered beneath the forest canopy looked beautiful, a little bit of much needed luxury with lots to keep the kids busy at the same time. We chose the Forest of Dean as it was about half way between us and the friends we were sharing the break with. We stayed in a utterly gorgeous Golden Oak Cabin with fluffy robes, slippers, a log burner and loads of room even for 5 kids and 4 adults. The kitchen was better equipped than anywhere else we have ever stayed and the cabin immaculately cleaned. 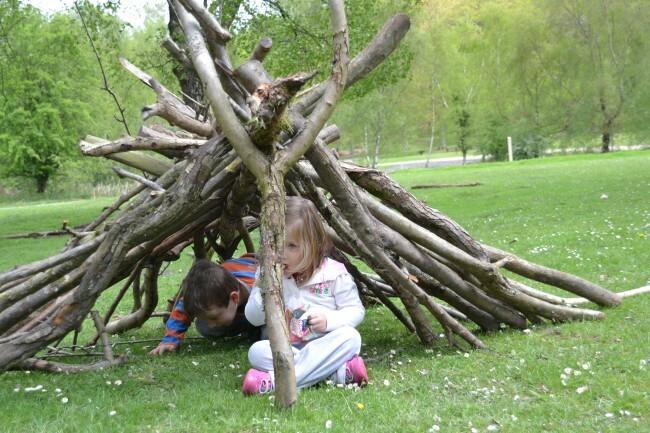 The kids made themselves at home straight away and couldn’t wait to go exploring, within half an hour they’d already built their first den and run off into the forest. The Forest of Dean setting was brilliant with lots of great attractions nearby including Symonds Yat, Puzzlewood, Clearwell Caves and Go Ape. 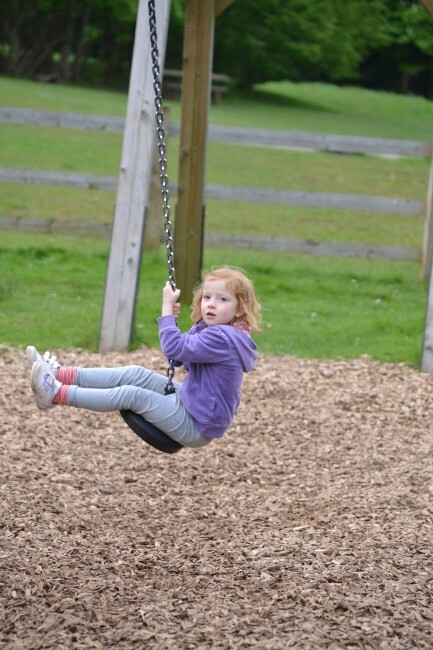 Unfortunately the weekend we were there most attractions were shut because of high winds, but we did find the Forest of Dean Forestry Commission area, with a great play area and Gruffalo trail. 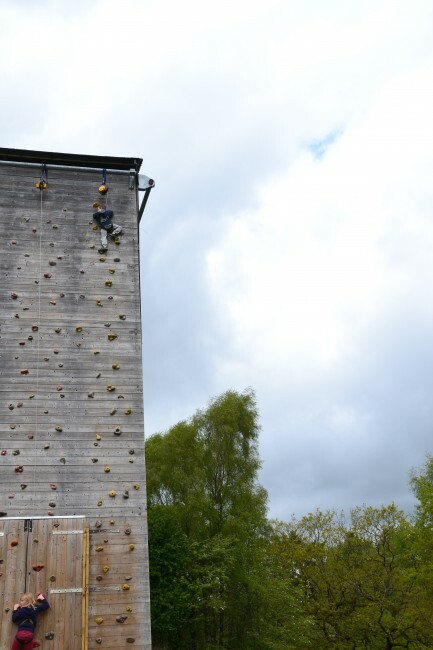 The older children were very excited to try climbing at Adventure Tower, Z was amazing brave and got right to the top, he continually surprises me with how determined he is. 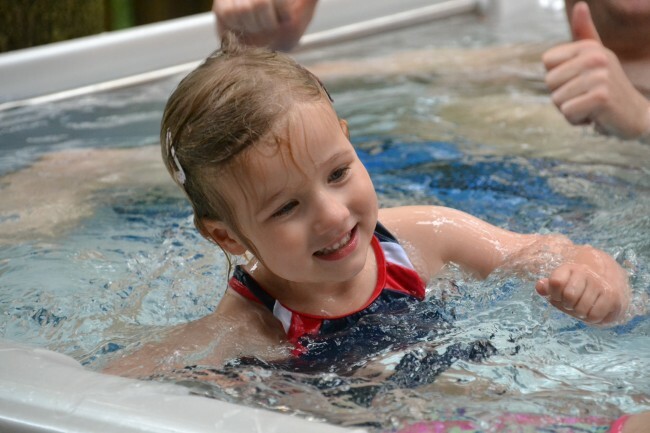 A big highlight for the kids was the hot tub, which was spacious enough to fit 2 men and 5 children easily. We were really impressed that staff from Forest Holidays came to check the tub daily. 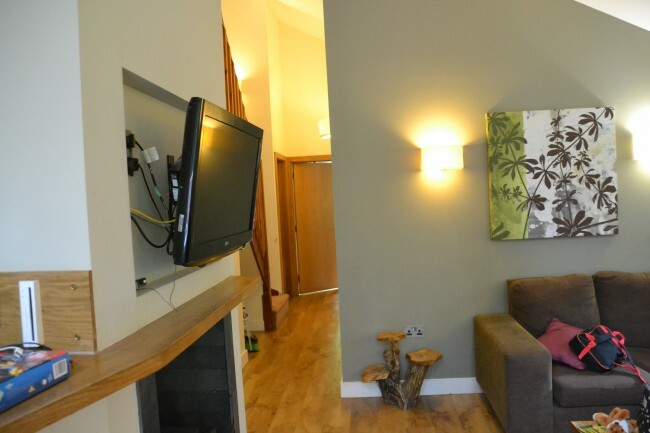 Overall we were very impressed with Forest Holidays, the staff were very helpful and there were plenty of activities on site such as bike hire, ranger activities, bush skills and night walks although there is an extra charge for these. Forest Holidays are available at sites all over the UK, next on our list is Blackwood Forest in the New Forest. Ah this brings back happy memories for me, I see to holiday in the Forest of Dean as a child with my mumum and my Grandparents. The Forest Holidays look lovely and definitely something we would consider doing with our children. Amazing blog post. Thanks for sharing. Keep it up good work.